If so, you should consider taking action. Did you know that over 40% of the air that you breathe on the first floor of the home comes directly from the basement or crawl space? 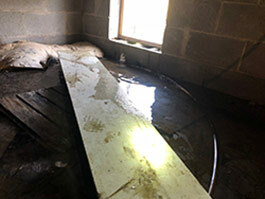 Because of this, crawl space waterproofing and encapsulation are essential to your family's health. At Ox Foundation Solutions, we help our customers in Alabama by getting to the root of the problem. 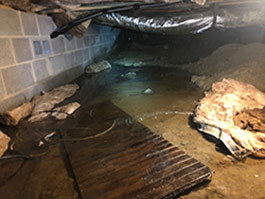 Crawl Space Drainage System - If there are issues with standing water, we begin by installing a drainage system installed prior to the encapsulation process. 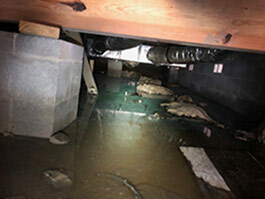 We then run this drainage system into our sump-pump liner and install a sump pump to remove water from the crawl space. Drainage Matting - A plastic material is placed on high footings or concrete floors to assist with crawl space drainage issues. 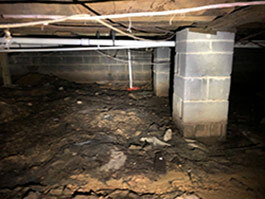 Crawl Space Vent Covers - Most crawl spaces have been vented due to antiquated building codes. We now know that venting a crawl space creates big problems and it's necessary to seal any vents or areas where outside air can enter. 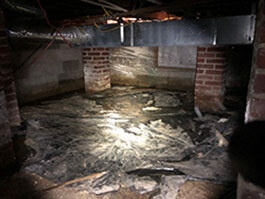 We have crawl-space vent covers to repair this issue. 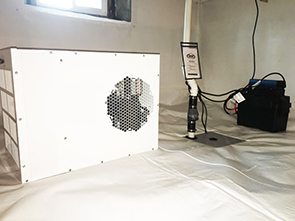 Encapsulation System - To complete the process of sealing the crawl space, we install a crawl-space encapsulation system to completely eliminate vapors and odors rising from the ground. This creates a layer of protection between the dirt floor and your living space which also helps in lowering your home's heating bills while making the living space more comfortable. 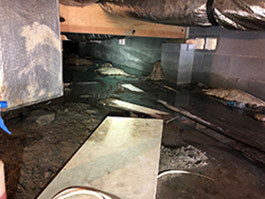 When you need help encapsulating your crawl space to dry out your home, contact Ox Foundation Solutions online or give us a call at 205-303-3404 to schedule your free estimate or to learn more about our services.